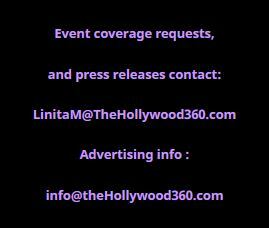 Hollywood, The Egyptian Theater- The Peakpr Group invited The Hollywood 360 to attend this event. On Saturday, July 1st, at the Eygptian Theater in Hollywood, the American Cinematheque celebrated the 30th Anniversary of the movie, Full Metal Jacket. There was a Q&A with actors, Matthew Modine, Vincent D’Onofrio, and Kubrick’s longtime colleague Leon Vitale. The film was shown after the Q&A with the actors. Full Metal Jacket was released by Warner Bros. in 1987 as Stanley Kubrick’s fictional commentary on the Vietnam War. He gathered an amazing ensemble of actors to portray the Marines going through their training that turns them all into heartless killers. Matthew Modine played the role of Joker and Vincert D’Onofrio played the role of Gomer in the movie. The two actors this evening shared their stories of how they each got the part in Full Metal Jacket. Here are what Matthew Modine and Vincent D’Onofrio said about getting their parts in the movie. Matthew Modine: The only way to audition for Stanley Kubrick’s film was to send in a video tape which was expensive and complicated to do at the time. When I had called my Agent in NY to ask about the film, he said he didn’t know anything about it. I told him that maybe he could send my film “Vision Quest” and “Birdie” over to Kubrick because they were made by Warner Bros. and maybe I would get the job. So he did that. When I went to London to visit Stanley Kubrick, I was in that room with all those video tapes from other actors. Stanley said, ‘These are only the good ones.’ I guess mine were good enough too because I was offered the part of Joker. Vincent D’Onofrio: I didn’t know anything about the movie. Matthew and I had known each other from another movie, “Private School.” We bonded together from that movie and became friendly. I was a bouncer and bodyguard at that timeFull Metal Jacket was being made. Modine: We had shot the movie backwards. First, we were in Vietnam then we shot boot camp. However, Stanley had said on the set that he couldn’t find someone to player Gomer Pyle. I told Stanley that I had someone in mind, but he’s not heavy and he’s not Southern. These were two characteristics of Gomer. I continued saying, but I know he could do a southern accent and put some weight on. That opened the door for Vince, but I did not get him the part. All I did was open the door and Vince gave us the performance that you saw. D’Onofrio: Stanley Kubrick called me directly from England. I was totally confused and didn’t know he was from the Bronx so his accent threw me a bit. It took a while to realize that he was Stanley Kubrick. I spent my hard earn cash and rented cameras and I put the words on tape that Kubrick wanted me to do for the audition. A couple of weeks later he asked me to do the part. He asked me to gain weight. I put on 20 more pounds and then I had to gain more and more weight, about 70 lbs. If it wasn’t for Matthew or Stanley giving me the part, I probably wouldn’t have an acting career. The panel talked about 25 minutes then the audience viewedFull Metal Jacket.